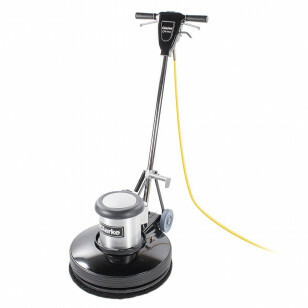 You may be asking yourself, why buy a Clarke floor buffer? Or, more importantly what sets Clarke floor buffers apart from the competition? There are 2 answers to those questions, experience and dependability. Clarke offers a great warranty of 3 years on parts, 2 years on labor and 180 days on travel (dependability). They have also continued to learn and evolve since inventing their first sanding machine designed specifically for sanding and restoring wood bar tops in 1916 (experience). That machine eventually evolved into a floor sander, and then eventually into the floor buffer that we all know and love today! So, when you're asking yourself, which floor buffer should I buy? Clarke is always the answer! The features of this 20 inch machine include, but are not limited to, the list you see below. If this too large for your efforts, please feel free to check out the Clarke 17 inch floor buffer that we also offer. Both of these machines, plus many more can be compared to each other on our floor buffers department page. Years of constant evolution have produced a motor (1.5 HP) that provides more torque & better cooling for increased performance. Triple planetary all steel gear box is dependable & provides smooth operation on all flooring surfaces. Comes with a 50', UL-listed, non-marking power cord & cord wrap hook on the machine for easy storage. Wrap-around, non-marking bumper protects surrounding furniture, walls and other objects from the machine. A switch lock mechanism helps prevent accidental start ups for safety and ease of use. Non-marking transport wheels make movement easy and protect floors from damage. Industry leading 3 year warranty on parts, 2 years on labor & 180 days on travel. 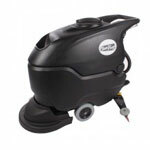 Cleanfreak machine Review by Kimley W.